Keeping you up to date on nutrition and health news. Ever heard of the hawthorn berry? Or maybe the “heart herb?” It’s not as well-known as other berries like blue, black and straw, however, hawthorn has been used as a digestive aid in traditional Chinese medicine for centuries, and Native American tribes not only enjoyed eating them but they used hawthorn to treat heart troubles and gastrointestinal complaints. So how did the hawthorn become “the heart herb?” It’s because of its various cardio-protective abilities. Various cultures have used Hawthorn berry for centuries as a natural remedy for all kinds of serious heart concerns. These include angina, high blood pressure, hardening of the arteries, irregular heartbeat, and even congestive heart failure. Hawthorn fruit comes in the form of little red berries. Dried haws or berries, green stems, flowers, and leaves are the parts of the plants that are used. Occasionally the bark has been used as herbal medicine. 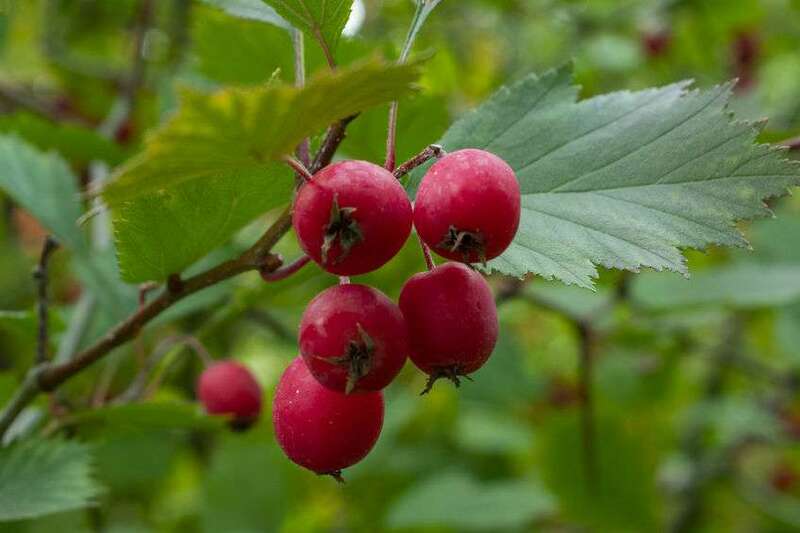 Why are hawthorn berries considered to be so medicinal? One reason may be their numerous flavonoids. Flavonoids are potent antioxidants known to effectively decrease inflammation while boosting immune function. The leaves, flowers, and berries of hawthorn contain an abundance of phytonutrients (antioxidants). The phytonutrients of the hawthorn plant appear to be the key to the way it helps your heart. It's thought to be particularly valuable in the early stages of heart disease, from improving blood flow to the blood vessels around your heart and brain, to increasing tolerance to the heart muscle due to a lack of oxygen. The Latin name Crataegus, for the hawthorn tree or shrub is from the Greek kratos "strength" and akis "sharp", referring to the thorns of some species. The name haw, originally an Old English term for hedge, applies to the fruit. Crataegus is a large genus of plants that belong to the rose family (Rosaceae). In addition to being known as hawthorn, it is called mayblossom, hedgethorn, maybush, mayflower, and whitethorn. 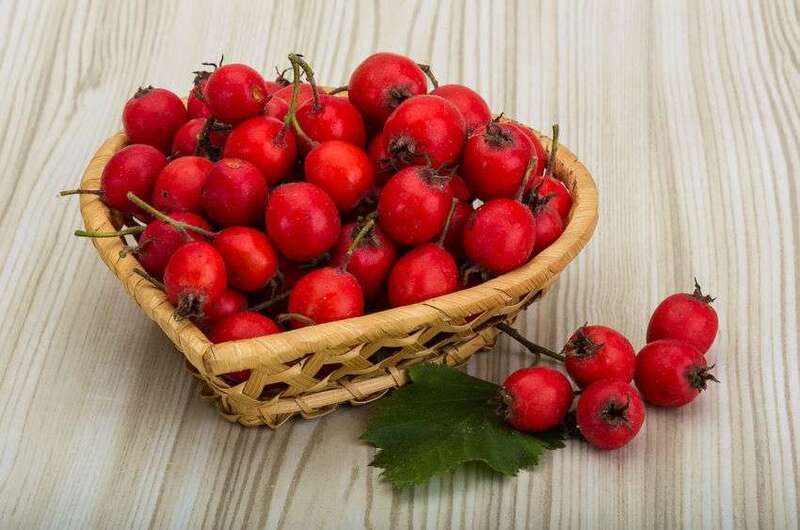 Hawthorn berry is considered to have antioxidant, astringent, antispasmodic, cardiotonic, carminative, diuretic, sedative, stimulant, and vasodilator properties. The hawthorn herb is loaded with health beneficial compounds. These compounds have been shown to really boost heart health. Here are just some of the many chemical compounds and nutrients found in Hawthorn: Flavonoids, Quercetin, Rutin, Choline, Acetylcholine, Chlorogenic acid, Caffeic acid, Vitamins B1, B2 and C, Iron, Calcium and Phosphorus. Interacting with gut flora to improve digestion. Helping with constipation, bloating and cramping. Helping to reduce itching on healing wounds or from other skin conditions such as eczema or psoriasis. There’s an old saying in Scotland: "Ne'er cast a cloot til Mey's oot." Do you love gingerbread or pumpkin pie? Spiced apple cider? Or chai tea? An ingredient these all share is clove. Cloves have a unique flavor which can be best described as is fruity, crisp and rather bitter. The distinctive flavor is mainly because of the eugenol content found in the essential oil. What exactly is a clove? It's an unopened bud of the pink flowers of the evergreen clove tree. Their name comes from the Latin word “clavus,” which means “nail.” Why nail? A dried clove features a head with tapered stem, resembling a nail. Cloves are pink when fresh, however, they are almost always used once they have dried and turned brown. The Latin name for cloves is Syzygium aromaticum. They are in the Myrtaceae, or myrtle family. Myrtle, bay rum tree, clove, guava, allspice, and eucalyptus are some notable members of this group. All species are woody, contain essential oils, and have flower parts in multiples of four or five. Cloves are native to the Maluku islands in Indonesia. Both cloves and clove oil have been used in Asian cooking for over 2,000 years. Arab traders introduced cloves to Europe in the fourth century, and their pungent flavor was used in the Middle Ages to mask the sour or bitter taste of poorly preserved foods. 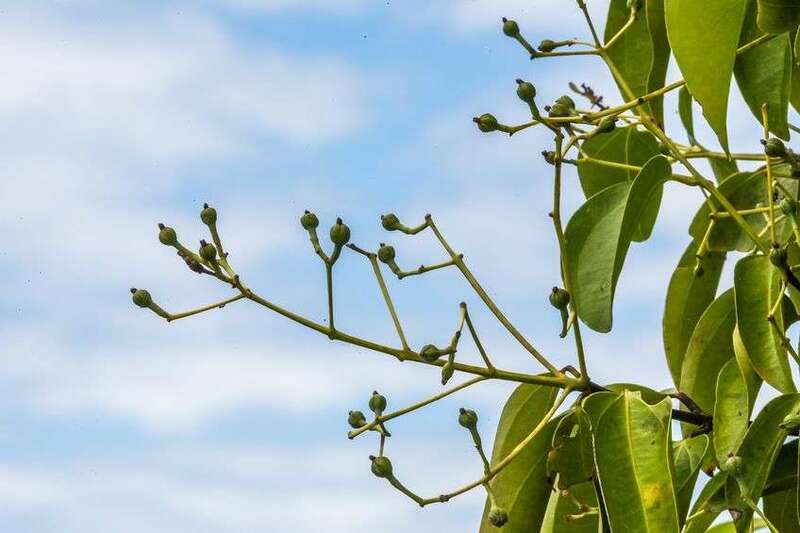 Today, most cloves are grown in Zanzibar, in Eastern Africa. The Chinese have used clove for more than 2,000 years as a fragrance and spice. 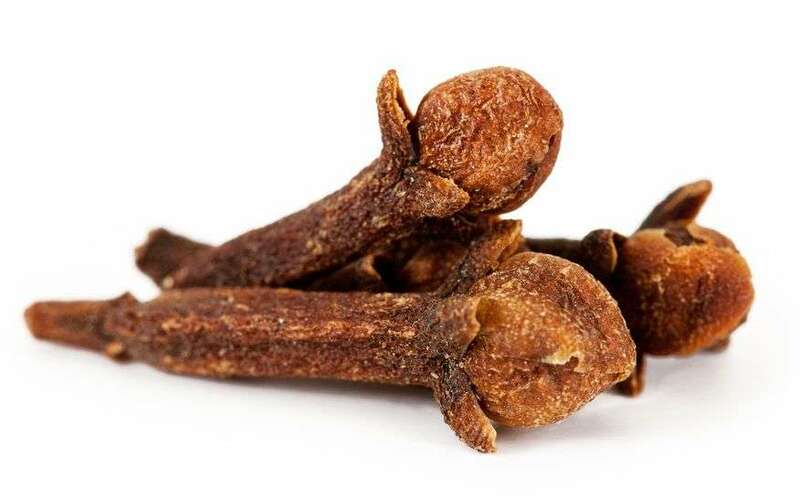 Cloves were brought to the Han dynasty of China from Indonesia as early as 200 BC. Back then, people would hold cloves in their mouths to improve breath odor during audiences with their emperor. The oldest recorded medical use of cloves, as early as 240 BC, comes from China, where it was used as a remedy for many different ailments, including diarrhea and hernia. It has been used traditionally to prevent nausea, for bad digestion, enhance blood circulation, to relieve hiccups and enhance liver function. And has long been considered to be useful for infections of both bacterial and viral nature. Clove oil is widely used in aromatherapy. Clove oil is also be used for the artificial production of vanillin, the substance that gives the flavor of vanilla. The ancient Persians supposedly used clove oil as a love potion. Essential oils are obtained from the leaves, stems and flower buds of the clove-tree by steam distillation. The clove oil is a pale yellow liquid with a strong and spicy aroma. With its long history, cloves have been considered anti-fungal, antibacterial, antiseptic and analgesic. They also contain anti-mutagenic and anti-microbial properties. Medicinally, the most studied compound found in cloves is eugenol. Eugenol is the primary component of clove's volatile oils. It functions as an anti-inflammatory substance. Clove also contains a variety of flavonoids, including kaempferol (also present in high levels in cruciferous vegetables), and rhamnetin (a metabolite, an antioxidant, and an anti-inflammatory agent). Both contribute to clove's anti-inflammatory (and antioxidant) properties. Clove's unsurpassed level of antioxidants includes a number of different antioxidant compounds. These include two very well-researched antioxidants, anthocyanins, and quercetin. Although most spices are excellent sources of antioxidants, cloves rank as the richest source of them all. Chemical analysis shows that cloves have at least 36 different ingredients, the most important being an essential oil called eugenol. Cloves also contain a variety of flavonoids which contribute to clove's abundant anti-inflammatory and antioxidant properties. Cloves contain fiber, vitamins, and minerals. They are an excellent source of manganese, as well as dietary fiber, vitamin K, vitamin C, calcium and magnesium. According to the USDA National Nutrient Database, the nutrients found in cloves include carbohydrates, protein, energy, and dietary fiber. Minerals in cloves include potassium, calcium, sodium, and magnesium. The vitamins found in them include vitamin E, vitamin A, folate, and niacin. They also contain phosphorus, iron, zinc, thiamin, and riboflavin. An interesting story - Clove oil was considered to be one of the main essential oils that protected people from getting the bubonic plague in Europe. A group of robbers was caught by the king and he asked them why they weren’t ill or dead from the plague exposure. They said it was because they covered themselves with this protective blend of oils (“thieves oil”), which included clove. We’ll just say it up front and get it over with. We love ginger!!! Ginger ale, ginger beer, ginger candy, gingersnaps, gari (sushi ginger), and hot or cold ginger tea. Ginger is one of the most widely consumed aromatic spices on the planet. In addition to ginger tasting great, it has some excellent medicinal properties. It was originally a plant that thrived in the southern parts of Asia, where it was used as both a medicine and a spice since ancient times. The plant is primarily grown for its rhizome or root; other parts of the plant may also be consumed as a type of vegetable, or used as a seasoning. Ginger is a very common ingredient in many types of cuisine. It is used to add a little spiciness to soups and stews, or other foods. It can be eaten raw, cooked, dried, pickled or candied. Ginger (Zingiber officinale) is a member of the Zingiberaceae family. (Say that 3 times fast!) That’s a family of flowering plants made up of about 1600 known species of aromatic perennial herbs with creeping horizontal or tuberous rhizomes (mass of roots) found throughout tropical Africa, Asia, and the Americas. Ginger is valued for its flavor and the age-old medicinal effects of its roots. 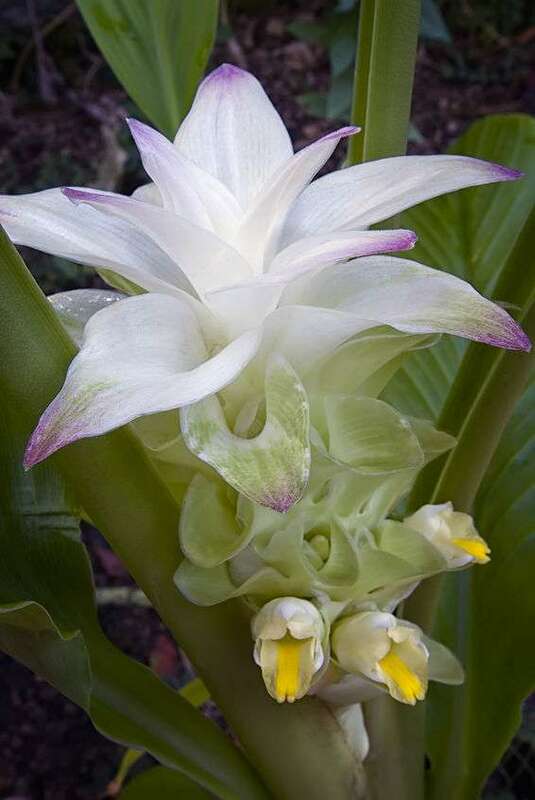 Turmeric, cardamom, and galangal are also members of the Zingiberaceae family. Ancient Sanskrit, Chinese, Greek, Roman, and Arabic texts discussed the use of ginger for health-related purposes. In Asian medicine, dried ginger root has been used for thousands of years to treat stomachache, diarrhea, and nausea and other gastrointestinal problems, such as bloating, loose stools, flatulence, nausea, and vomiting, and for treatment of inflammatory conditions, such as rheumatoid arthritis. 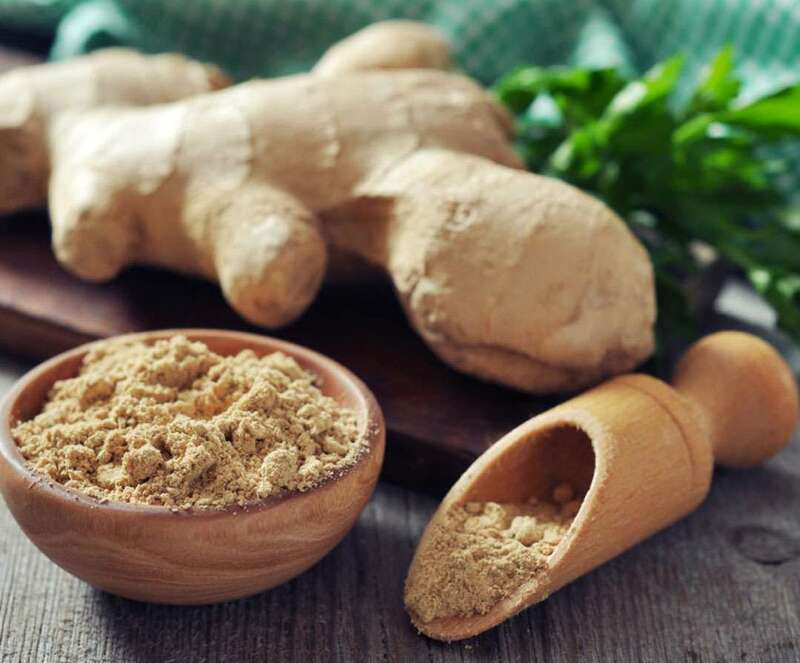 In herbal medicine, ginger is regarded as an excellent carminative (a substance which promotes the elimination of intestinal gas) and intestinal spasmolytic (a substance which relaxes and soothes the intestinal tract). Ginger has also been known to be effective in the treatment of menstrual cramps and migraine headache. Ginger is considered to be a potent antioxidant, anti-inflammatory, anti-fungal, anti-bacterial and anti-nausea agent. Ginger grows in sub-tropical, volcanic soils in the southern hemispheres. 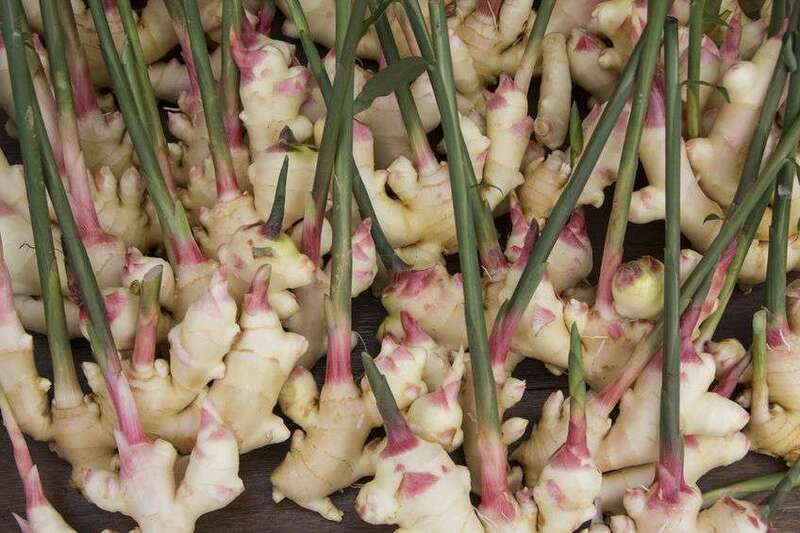 Native to southeastern Asia, ginger has been renowned for centuries in many areas throughout the world. It has long been prized for its aromatic, culinary and medicinal properties. After the ancient Romans imported ginger from China almost two thousand years ago, its popularity in Europe remained centered in the Mediterranean region until the Middle Ages when its use spread throughout other countries. Although it was a very expensive spice, owing to the fact that it had to be imported from Asia, it was still in great demand. In an attempt to make it more available, Spanish explorers introduced ginger to the West Indies, Mexico, and South America. In the 16th century, these areas began exporting the precious herb back to Europe. Today, the top commercial producers of ginger include Jamaica, India, Fiji, Indonesia, and Australia. The volatile oils in dried rhizome of ginger, including gingerols (the major pungent compounds present in the rhizomes), shogaols (imparting the characteristic pungent taste to dried ginger) zingiberene (contributing to the herb’s aroma) and bisabolene (a natural chemical compound which is present in the essential oils) are considered to be responsible for the healing abilities of ginger. Raw ginger is composed of 79% water, 18% carbohydrates, 2% protein, and 1% fat. It contains moderate amounts of Vitamin B6 and dietary minerals magnesium and manganese. These chewy ginger cookies sound fabulous. They feature fresh, powdered AND crystallized ginger for a triple kick. When you think about licorice do you think about candy? Most likely! But did you know that licorice was used centuries ago in Greece, China, and Egypt for stomach inflammation and upper respiratory problems. Early Egyptians loved licorice root. They used it in tea as a cure for everything! Licorice was later imported to China where it became an important herb in Chinese medicinal tradition. Today, people still use licorice root to help with digestive problems, menopausal symptoms, coughs, and bacterial and viral infections. The word “licorice” refers to the root of a plant called Glycyrrhiza glabra, from which a sweet flavor can be extracted. That’s why it’s been used in candies and as a sweetener. Licorice is harvested from the plants’ roots and underground stems. 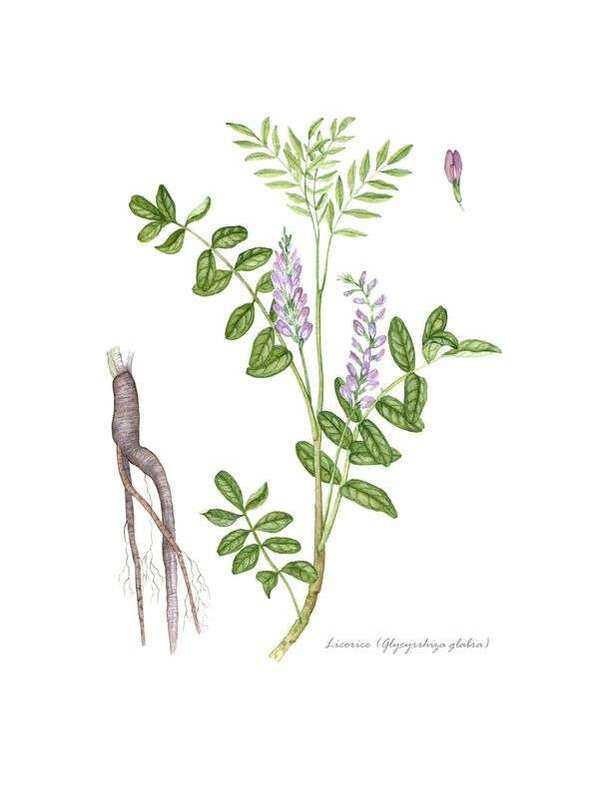 Most licorice root grows in Greece, Turkey, and Asia. Licorice, interestingly enough, is a member of the legume family. A legume is a plant in the family Fabaceae; these are mostly herbs but include also shrubs and trees. A legume is a simple, dry fruit contained within a shed or a pod. Legumes you know and love include peas, chickpeas, lentils, carob, soybeans, peanuts, black beans, and black-eyed peas. 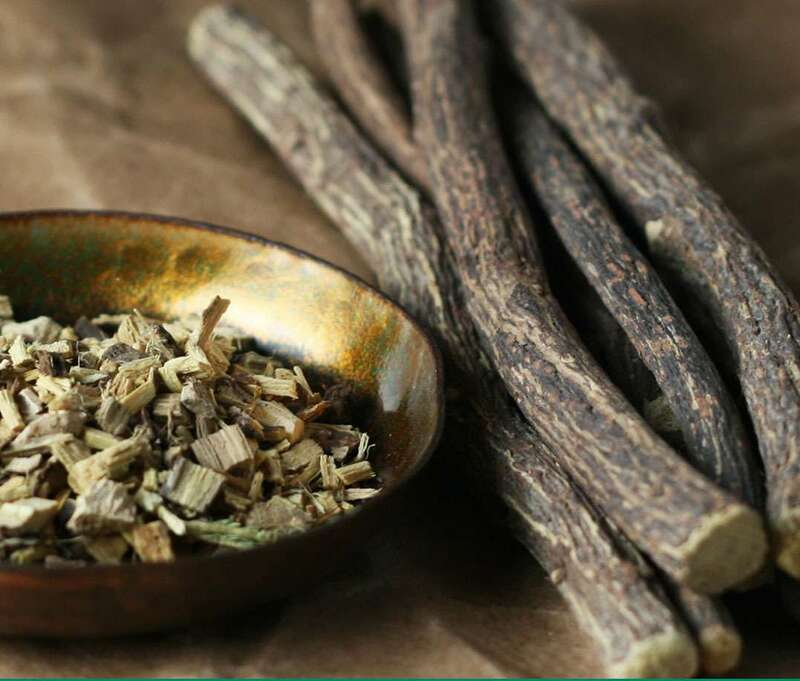 In its centuries-long use, licorice root has been known to provide support for heartburn, leaky gut, adrenal fatigue, PMS and pain relief. The active ingredients in licorice include glycyrrhizin and flavonoids. Glycyrrhizin is an anti-inflammatory and antiviral substance, while the flavonoids are potent antioxidants, which help protect liver cells. The chemicals contained in licorice are thought to decrease swelling, thin mucus secretions, decrease cough, and increase the chemicals in our body that heal ulcers. Licorice is considered to have immune-boosting properties. It’s also a demulcent (soothing) herb. It has also been known to help the body more efficiently regulate cortisol. Licorice is considered to be an adaptogen herb. Adaptogens are natural substances that work with a person’s body and help them adapt; most notably, to stress. Isoflavonoids belong to a group of compounds called flavonoids, or bioflavonoids, that occur naturally in plants where they serve various functions, for example as the pigments that give flowers and fruits their color. The main plant source of isoflavonoids is legumes, such as various kinds of peas and beans. Heartburn and acid reflux including nausea, indigestion and stomach pain. Licorice is also used to flavor foods and beverages. That being said, Anise oil is often used instead of licorice root to flavor licorice candy because it has the characteristic smell and taste of "black licorice." Have you ever visited the island of Eleuthera? If you like islands, it sounds like a pretty fabulous place. A place, that with its wide rolling pink sand beaches, large outcrops of ancient coral reefs, caves and other geological features, sounds like it would be restful, fun, and provide a stress-free vacation. Well, we’re not trying to sell you a travel package. It’s just that Eleuthera sounds like Eleuthero (also known as Siberian ginseng). Eleuthero (the herb) has been gaining fans in the West since the 1950s when a Russian scientist found that it appeared to have great power as a stress reducer. Eleuthero has been used for centuries in Eastern countries, including China and Russia. 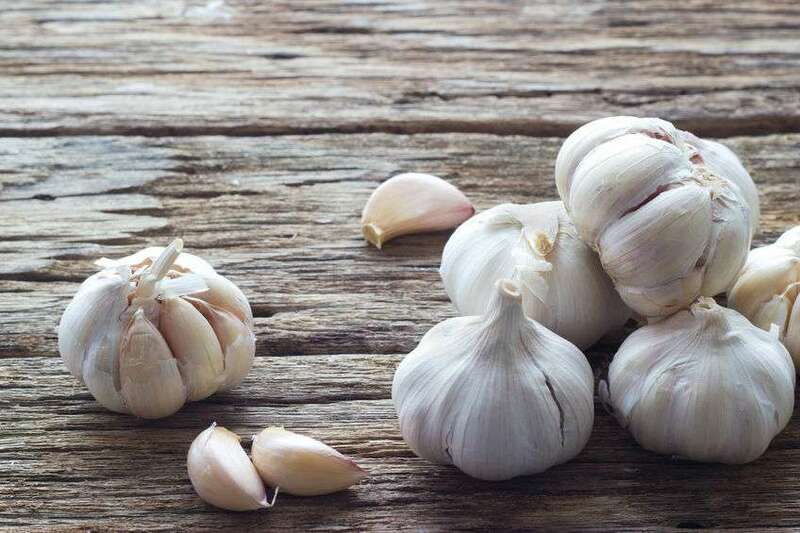 Prized for its ability to restore vigor, increase longevity, enhance overall health, and stimulate both a healthy appetite and a good memory, it is widely used in some countries to help the body adapt to stressful conditions and to enhance productivity. Eluethero is the common name of Eleutherococcus senticosus, which is a thorny flowering shrub that can be found at the foot of cliffs. The root and the rhizomes (underground stem) are used medicinally. It is native to Japan, China, Korea, and the Far East of Russia. 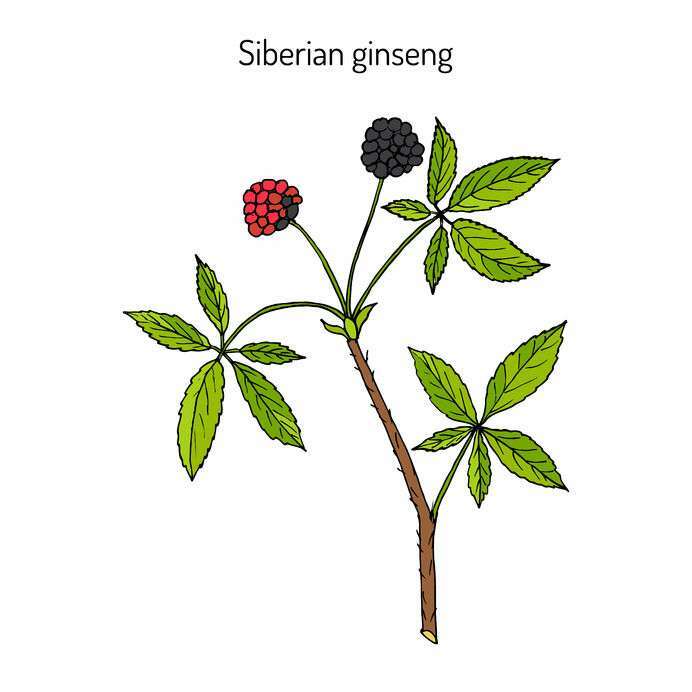 Even though it’s known as Siberian Ginseng, it’s not related to Korean or American ginseng in any way. It contains components called eleutherosides that are thought to increase stamina and to stimulate the immune system. Eleuthero is considered to be an “adaptogen.” This is a non-medical term used to describe substances that can supposedly reduce the effects of mental and physical stress and can help the user in a general, non-specific way. It affects the adrenal glands in a positive way. These glands are found directly above the kidneys and are very important to good health. The body uses them to regulate metabolic functions, aid the immune system, regulate energy levels, and produce stress fighting hormones. Help the body deal with physically and mentally stressful exposures, such as heat, cold, physical exhaustion, viruses, bacteria, chemicals, extreme working conditions, noise, and pollution. Did you know that pineapples just might contain have secret healing powers? The pineapple, unlike Saw Palmetto which has leaves like a saw and fruit you really do not want to eat, has sharp leaves and thick skin that belie all the goodness inside. Sweet delicious flesh, a core that you can juice or put in your smoothies, and bromelain, a mixture of enzymes found naturally in the juice and stems. So yummy and it has medicinal properties! And we’ve got a winner! Pineapple is the common name of Ananas comosus (Ananas sativus, Ananassa sativa, Bromelia ananas, Bromelia comosa). It's noted that, when European explorers encountered the tropical fruit in the Americas, they called them "pineapples" for their resemblance to pine cones. Pineapple is the leading edible member of the family Bromeliaceae, grown in several tropical and subtropical countries including Philippines, Thailand, Indonesia, Malaysia, Kenya, India, and China. Large-scale pineapple cultivation in Hawaii began in the early 1900s. Cannery operations in Hawaii flourished through the early 21st Century. Now a very small percentage of the world’s production is grown in Hawaii. Pineapples have long been used as a medicinal plant among the natives of South and Central America. It has a centuries-long history of being used to treat medical ailments, primarily throughout Central and South America. The first isolation of bromelain was recorded in 1891. 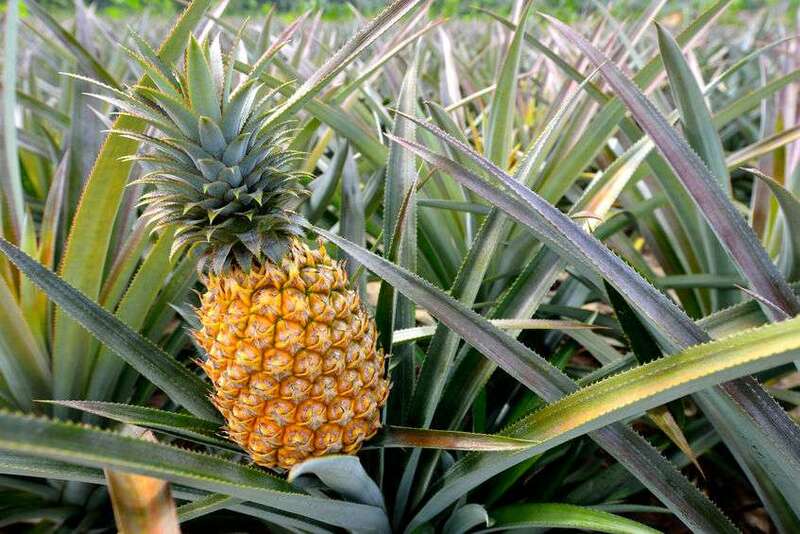 Bromelain is present in all parts of the pineapple plant but the stem has the highest concentration. 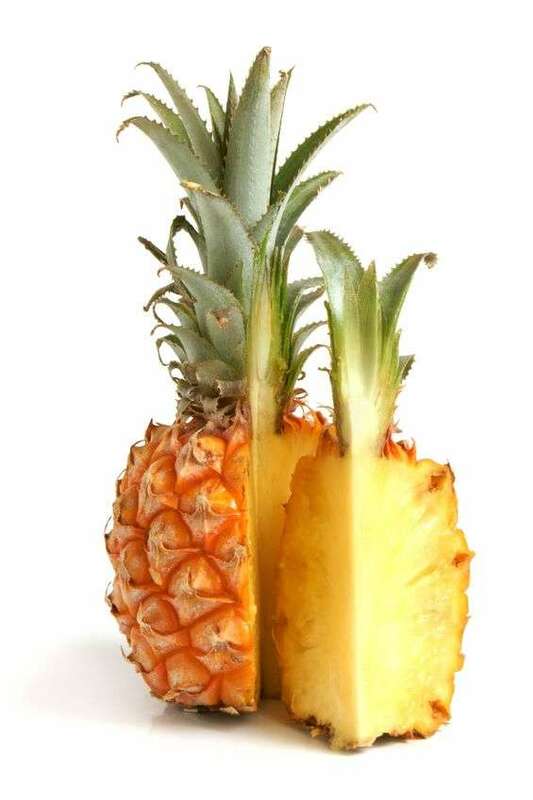 The bromelain is extracted from the peel, stem, leaves or waste of the pineapple plant after processing the fruit for juice or other purposes. Used widely as a natural remedy to treat everything from indigestion to allergies, pineapple is filled with this enzyme. It also has its share of vitamin C, vitamin B1, potassium, manganese and phytonutrients. Bromelain is thought to stimulate the body’s natural ability to relive inflammation and chronic pain. It’s also said to stimulate digestion and improve heart health. Even though it’s extracted from pineapple, eating pineapple or drinking its juice doesn’t supply a large enough dose to be effective. Bromelain has long been used as a potent anti-inflammatory and anti-swelling agent. It’s also considered to be an anti-histamine and a diuretic; and may help prevent blood clots, edema and swelling. It has been used to improve the appearance of skin after a burn, and to help burn fat during weight loss. Pineapple on pizza is very controversial. There’s the “I love it on pizza camp” and the “Never, no way, are you kidding me camp." Here’s an interesting twist from our friends at Cooking Light Magazine; use the pineapple as the base of the pizza in this recipe! Interesting fact: As a culinary ingredient, it can be used as a meat tenderizer. Along with papain (found in papaya), bromelain is one of the most popular proteases to use for meat tenderizing. Bromelain is sold in a powdered form, which is combined with a marinade, or directly sprinkled on uncooked meat. Have you noticed there’s a pattern here? Spiny exterior hides the secret medicinal properties inside. Good use of camouflage if you’re a spiny plant. Blessed Thistle is native to the Mediterranean and is a member of the Asteraceae (Aster) family, as are Jerusalem Artichoke and Dandelion. It was often grown in the gardens of monks, and the leaves, stems and blossoms were used to make bitter tonics and liqueurs. Other names for Blessed Thistle include holy thistle, St. Benedict's thistle, and spotted thistle. There are many different kinds of thistles. You may think that they look similar but Blessed thistle can still be identified by its own unique features. It has the characteristic hairy stems and spiny-edged leaves but it also produces bright yellow flowers surrounded by specialized leaves meant to attract pollinators. The plant's leaves can be up to a foot long and the entire plant can reach up to 2 feet. (That’s one way to ensure that your pollinators find you!) Blessed thistle flowers in June, at which time the leaves and tops are collected, as that is when the plant is at its highest degree of medicinal power. Why is it called Blessed thistle? 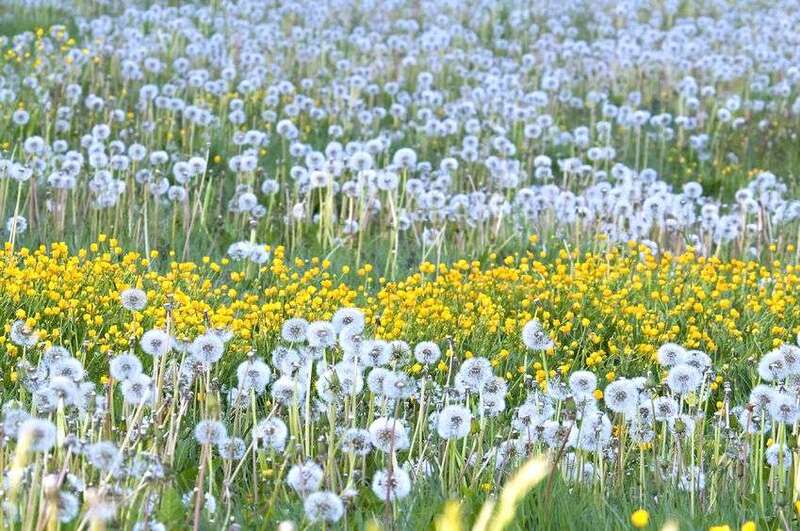 It was grown in monastery gardens throughout Europe, near holy sites and graves to ward off evil. “Blessed” or “holy” refers to the belief that the plant was a gift from a higher power. Its botanical name is Cnicus benedictus. 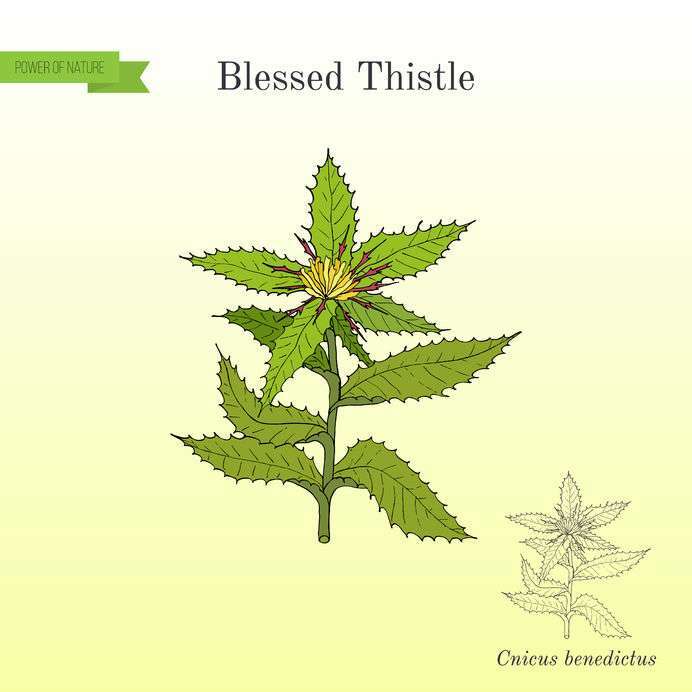 Once upon a time, Blessed thistle was used extensively for medicinal purposes. During the medieval period in Europe it was considered a cure for just about every ailment. 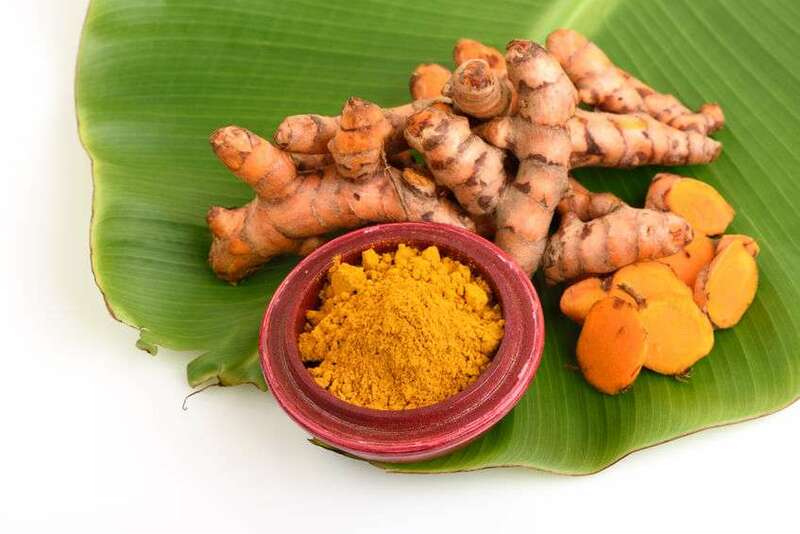 It is one of the oldest folk remedies for treating the absence of the menstrual cycle, and is often used in commercial herbal preparations formulated for women. The plant is also believed to stimulate bile production in the liver and is used to treat liver disorders of all types. 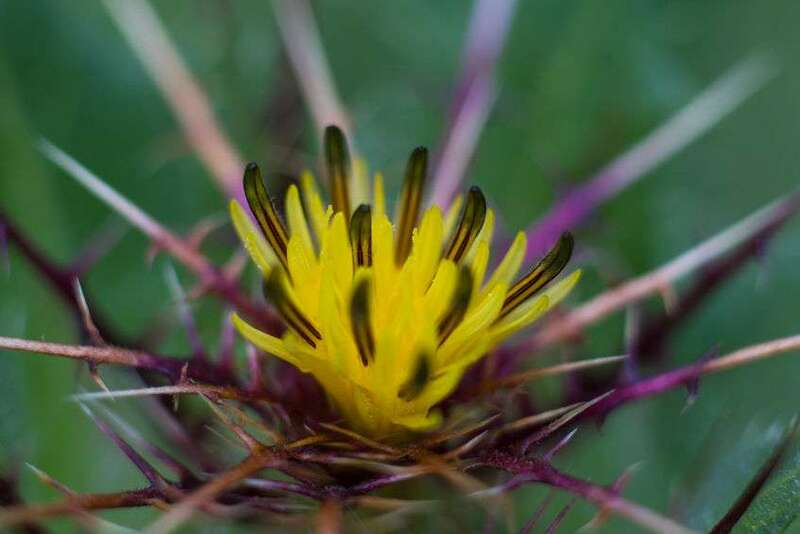 Other modern medicinal uses of blessed thistle include regulating the menstrual cycle, improving appetite, lowering fevers, helping lessen bacterial infections, providing anti-inflammatory support, and treating indigestion. The plant is not considered edible, as it has an extremely bitter taste. Why use a bitter plant to help with digestion? Well, bitters are good for you. They stimulate the secretion of digestive juices in the stomach and support the breakdown of fats, supporting a healthy appetite and assisting in the assimilation of nutrients. The main bitter substance in Blessed Thistle is cnicin. Blessed Thistle can be made into a tea, although other aromatic herbs should be added to reduce the bitter flavor. Blessed thistle tea has been used historically by midwives and naturopaths to support healthy breast milk production. That’s because Blessed thistle is a galactagogue that is used to promote lactation. A galactagogue is any natural or synthetic substance that increases milk production. Herbal galactagogues have been used for thousands of years. The most commonly used galactagogue herbs are fenugreek, hops, blessed thistle, and red raspberry leaves. Blessed thistle is said to increase milk supply two to three days after consumption. Interesting fact: In Shakespeare's comedy, Much Ado About Nothing, Blessed thistle, in tincture form, is recommended for a cold. We all know that we can eat the fruit of many types of palm trees. Coconut palms. Date palms. Acai berry palms. Yep, that’s a palm fruit, too. Now, there’s another palm tree that offers health benefits, however it’s not one which is currently known for edible fruits. Historically it was a source of food for Native Americans in Florida. We’re talking about the Saw Palmetto. It’s considered an herb although it is a dwarf palm that grows in the coastal lands of North America, West Indies, and Mediterranean countries. The fruits are a rich source of fatty acids and phytosterols (those are naturally occurring compounds found in plant cell membranes) and have been used to help with various health conditions. Why is called “saw?” Well, as one person said, “You don’t want to run through a saw palmetto grove. The sharp spines on the leafstalks will scratch your legs like the teeth of a saw.” Its fan-shaped leaves have sharp, saw-toothed edges that give the plant its name. Saw palmetto benefits have been known for centuries, and the plant has been used in traditional, eclectic and alternative medicine. Its active ingredients include fatty acids, plant sterols and flavonoids. The plant bears white flowers and berries that emerge yellow but ripen to blue-black. 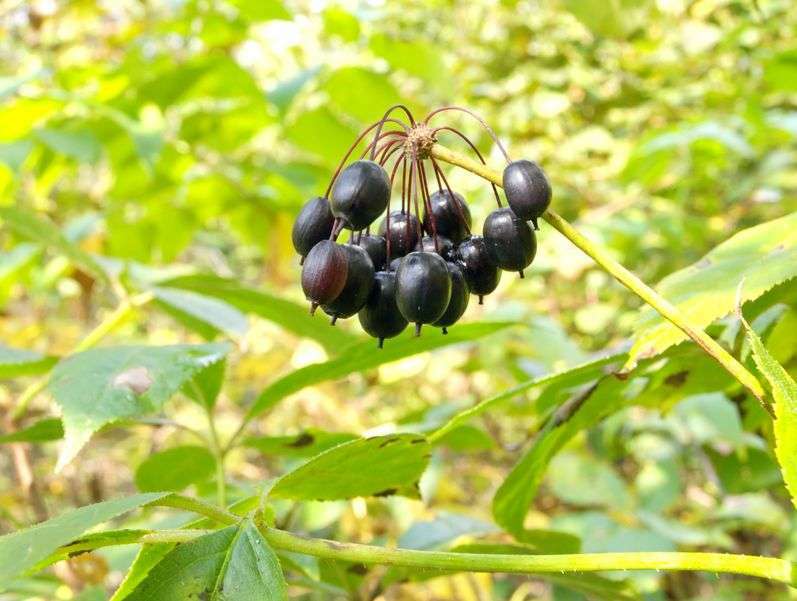 The abundant berries are harvested from the wild in the fall and are dried for medicinal use. The berries contain high molecular weight polysaccharides (sugars), which may reduce inflammation that’s at the root of many diseases and strengthen the immune system — thus adding immune system booster to the list of saw palmetto benefits. Serenoa repens is the scientific name. It’s the only species found within the Serenoa genus. 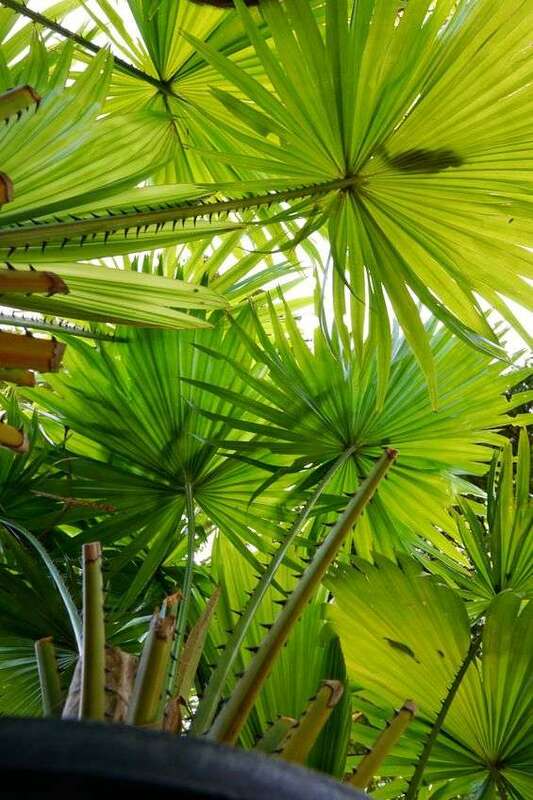 Some saw palmetto plants live for over 700 years. 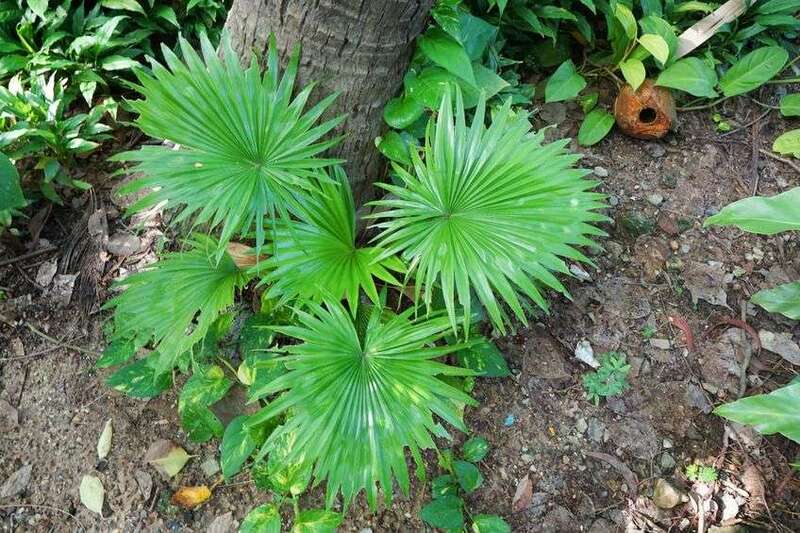 It's also known as sabal, American dwarf palm tree, cabbage palm, dwarf palmetto, fan palm, Fructus Serenoae Repentis, sabal fructus, saw palmetto, serenoa, and scrub palm. Today saw palmetto is much better known as the source of a prostate medication found in the fruit that helps shrink overgrown prostates. The size of the prostate changes with age. It’s about the size of a walnut in younger men, but it can grow to be much larger in older men — and this can become problematic. It’s when the prostate becomes enlarged that men begin experiencing symptoms from BPH and lower urinary tract issues. Saw palmetto treatments are usually associated with men; women do use it for counteracting the physical manifestations of too much testosterone, treating hair loss, treating acne, and treating symptoms of menopause. In addition to eating the berries, the saw palmetto plant was used for medicine by the Native Americans of the southeastern United States. In the early 20th century, men used the berries to treat urinary tract problems and increase sperm production. When you think of an artichoke, do you envision that green spiny vegetable that holds inside it that beautifully delicious and nutritious artichoke heart? I think that’s what most of us do. That one is called a Globe Artichoke and is quite a bit more well-known than the Jerusalem Artichoke. They have similar names however they don’t have a lot in common. The Globe belongs to the thistle family, and Jerusalem Artichoke, also called a sunchoke, belongs to the aster family. 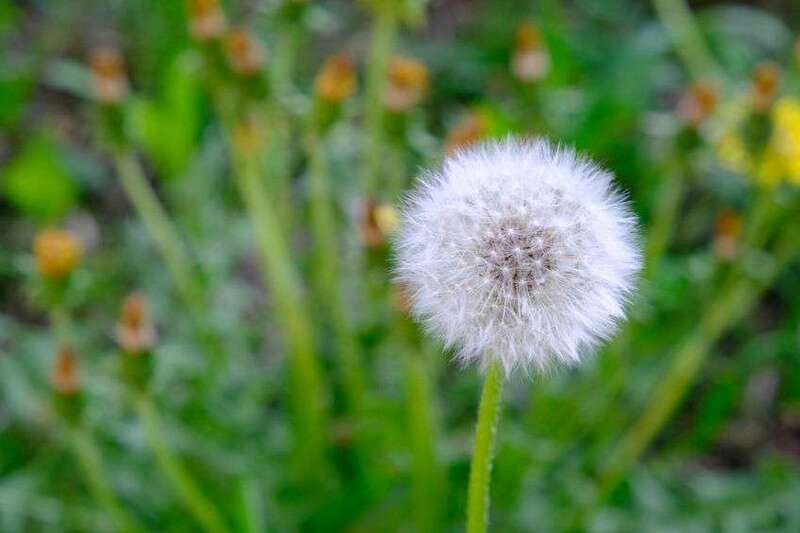 Another difference is that the Globe, which has been around forever, is native to southern Europe and widely cultivated in the Mediterranean regions and central Europe. Jerusalem artichoke originates in North America. 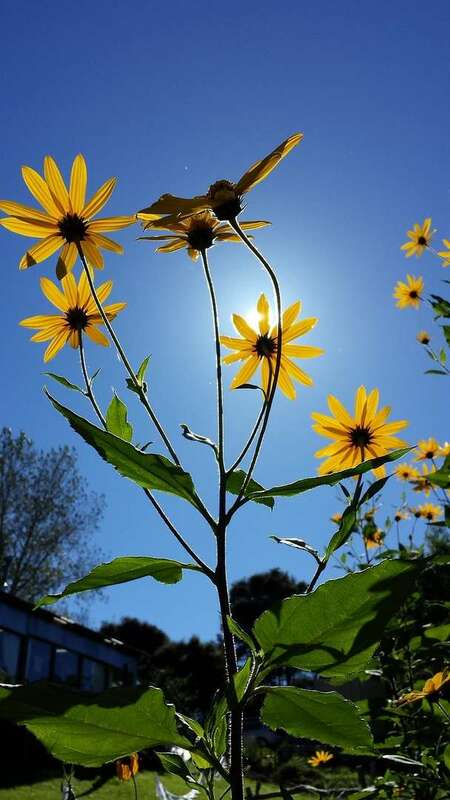 Cultivation of Jerusalem artichoke started long before first European settlers arrived to America. It’s often believed that the name comes from “artichokes from Jerusalem.” It actually comes from Italian “girasole carciofi,” which means sunflower artichoke in English. Some of the common names are sunroot, sunchoke, topinambur etc. Its scientific name is Helianthus tuberosus. When in bloom, the sunchoke looks much like a miniature sunflower. To get to the edible part you have to dig up the bulbous root in spring, before the plant has blossomed. That edible part is known as the knobby tuber, which looks like a ginger root. The skin of the root can be eaten, too, as long as its thoroughly scrubbed. This knobby tuber, like ginger and turmeric with their rhizomes (mass of roots), is chock-full of goodies from the inside out. You can eat it raw, roasted, boiled, steamed or mashed and can be added to many dishes. Put it in salads, soup or sandwiches to improve vitamin, mineral and fiber content. It’s a root vegetable and eaten in much the same way like potato in many parts of Western Europe and Mediterranean regions. Jerusalem artichoke is excellent source of vitamins B1 and B3 as well as minerals and electrolytes such as iron, potassium, copper and phosphorus. It also has some of the B-complex group of vitamins such as folates, pyridoxine, pantothenic acid, riboflavin, and thiamine. It’s a great source of dietary fiber. Fiber is the indigestible portion of food derived from plants. A high-fiber diet can normalize bowel movements. It contains small amounts of antioxidant vitamins such as vitamin C, vitamin A, and vitamin E. Combine that with no cholesterol and almost no fat, and you just might have to add sunchokes to your diet. They’re low in sodium, too. With its iron, copper and vitamin C nutrients, Jerusalem artichokes are a good source for hair health. This iron carries oxygen to the hair, keeping hair follicles healthy. Similar to iron, copper helps prevent hair loss and boost hair growth. Vitamin C helps because is required for the synthesis of collagen. Collagen contributes to healthy hair by strengthening hair follicles and by keeping blood vessels in the scalp healthy. Prebiotics are getting a lot of press these days. They deserve it. 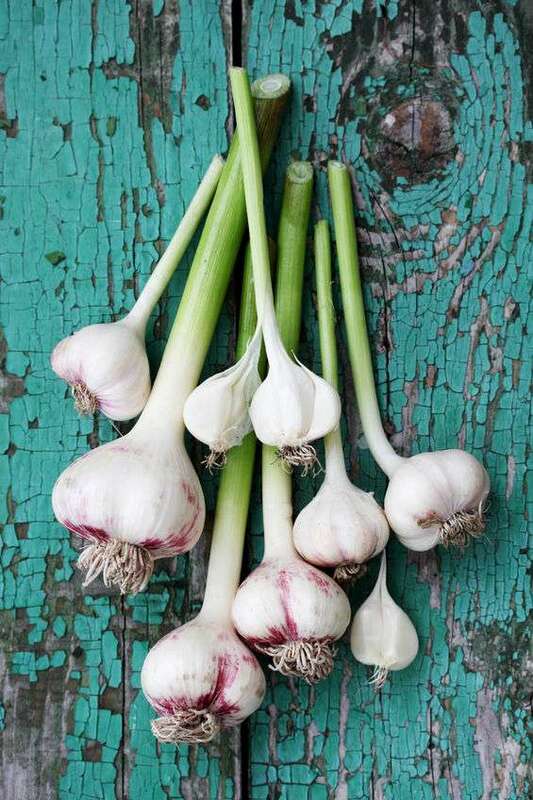 Prebiotics are food ingredients, typically non-digestible fiber compounds, that cause the growth or activity of beneficial fungi and bacteria in the gastrointestinal tract. Your GI tract requires the right balance of bacteria to stay healthy. Gut bacteria play a role in many important functions in the body, including helping your immune system, making serotonin, creating energy for your body from the food you eat, and disposing of foreign substances and toxins. Unfriendly bacteria like to make themselves known in a number of ways. Diarrhea, constipation, bloating, nausea, and heartburn are well-known symptoms of problems in the gut. Leaky Gut Syndrome is becoming more prevalent as modern diets and lifestyles negatively contribute to overall health through our digestive system. Food cravings, weight gain or loss, feeling moody or anxious, difficulty staying or falling asleep, skin issues, and other health problems are often symptoms of a dysfunctional gut. Jerusalem artichokes contain plenty of inulin, a complex carbohydrate which improves absorption of calcium and magnesium from the food we eat and lowers blood cholesterol level. It also stimulates the growth of Bifidobacteria and fights harmful bacteria. We don’t have a permanent supply of gut bacteria so we need to constantly replace them through our diet. 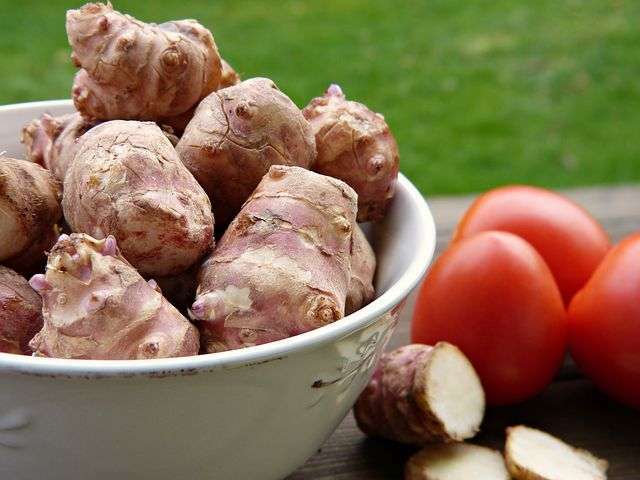 Jerusalem Artichoke is also considered to help control cholesterol and blood pressure, assist with new blood cell formation, help boost the immune system, and support blood glucose levels. Providing a high amount of Vitamin B1 (thiamine). Thiamine is crucial for the proper functioning of the nervous system and the muscles. It is also needed for carbohydrate metabolism as well as for the production of hydrochloric acid in the stomach.